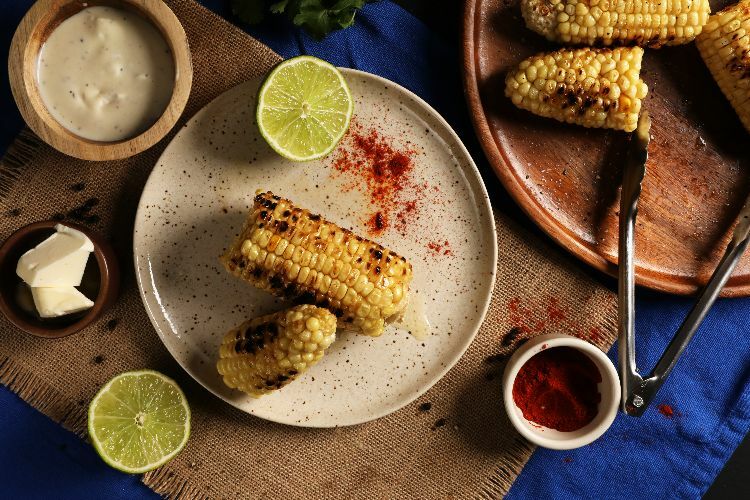 One of the best ways to enjoy corn on the cob is to grill it as in the recipe below. Grilling corn on the cob gives it just enough smoky flavor to somehow perfectly balance out the sweetness of the corn. And all it takes is a minute or two on the grill. That's because this grilled corn recipe comes with a little secret: It's boiled first. Boiling the corn before throwing it onto the grill ensures that it's going to be completely cooked through and tender and juicy the way corn on the cob should be. Once boiled, you can do whatever you want with it. In this case, that means grilling it. Place corn in a large saucepan and fill with enough water to cover. Put the pot over high heat on the stovetop and bring to a rolling boil. Let it boil for about 10 minutes before removing the cobs from the water. Heat an indoor or outdoor grill to high heat. 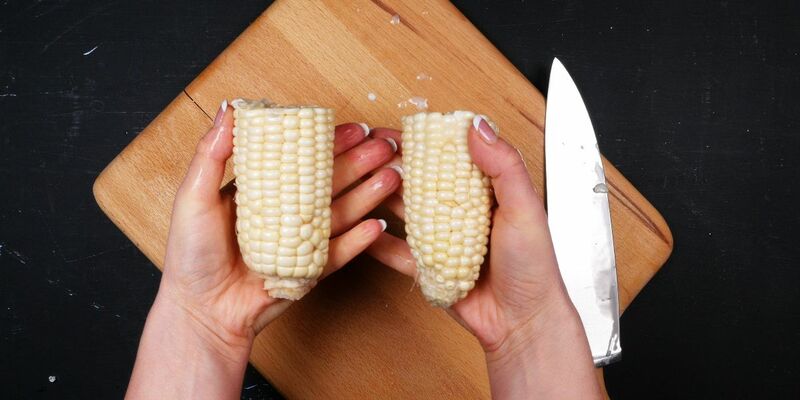 When hot, brush olive oil over the corn cobs. Place on grill and grill for about 4 minutes, turning once, until grill marks form. Season corn with salt and pepper just before serving.